Jake Westbrook sure twirled a gem last night didn’t he? As my mind tends to wander following a performance like Westbrook’s, I thought of Game Score and which Cardinal pitchers have registered the top starts of the 2012 season using Game Score. Seeing Lance Lynn and Adam Wainwright on this list shouldn’t surprise you, but note that Westbrook is on there twice after last night. 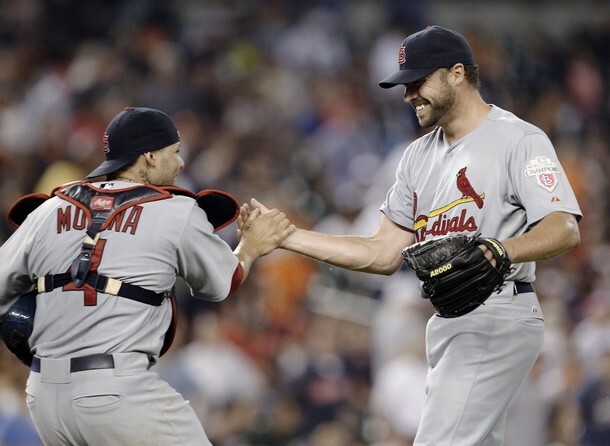 Game Score – This is a value created by Bill James that evaluates how good a pitcher’s start was. So long and short – keep the other team from scoring runs, keep them off the bases, pitch lots of innings, and get bonus for strikeouts that don’t even offer the hitter a chance to reach base. He looked like he had just thrown a no-hitter, didn’t he?